Traditionally, satellites use radiation-hardened microprocessors for on-orbit computation. For many satellites commercial microprocessors could provide smaller, faster, and less power consuming options for on-orbit processing, as long as the mission can tolerate the increased risk. Unfortunately, most commercial microprocessors are not qualified for space usage, and it is up to the organization to determine good candidate parts and qualify them for for space. The qualification process includes testing the microprocessor for single-event effects that can disrupt the computation through silent data corruption and crashes. 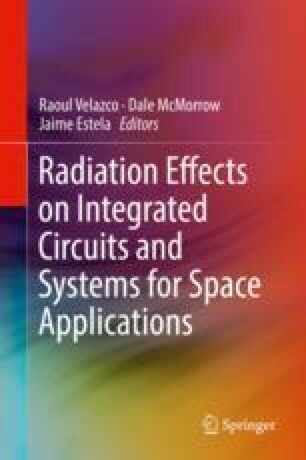 In this chapter, the fault models for how single-event effects affect computation are introduced so that radiation testers can determine what needs to be tested. Once the test goals are determined, different test protocols and designs are presented as options for testing a variety of microprocessor sub-systems. Currently, there are a number of issues with testing microprocessors, including programming languages, compilers/interpreters, algorithm design, operating systems, and fault injection. These topics are covered in the later part of the chapter.